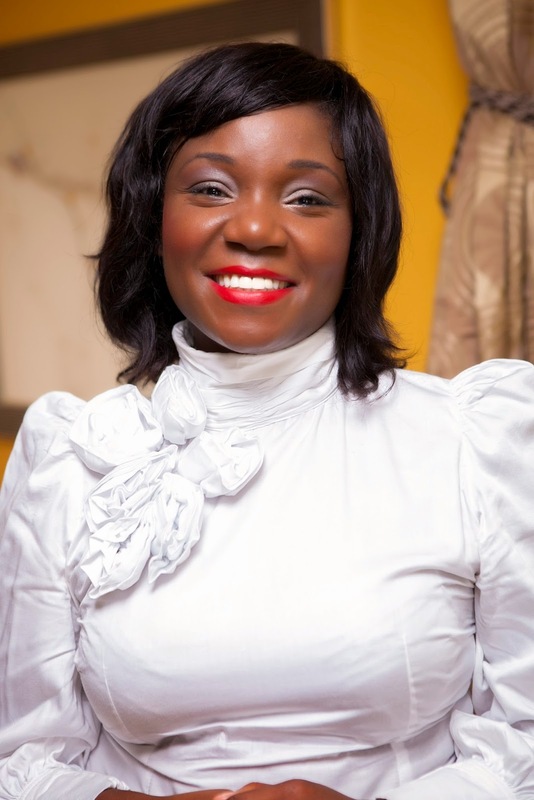 Ruka Sanusi is the brain behind Alldens Lane, comprising business advisers with a unique focus on providing coaching services to female entrepreneurs in Africa’s small and growing business sector. Through an iterative coaching process, Alldens Lane provides female business owners with business direction, balanced support and thought provoking business performance and growth analysis to transform their business. Here is Ruka's story, in her own words. Interestingly, I never planned a career in gender advocacy. I planned a fabulous international career in international development, and then later in management consultancy. But The Creator was and continues to be gracious to me and through Alldens Lane has provided me with an even more fabulous life – a life in which I get to daily connect with remarkable, determined women CEOs and entrepreneurs (tomorrow’s business leaders, I call them), and a life in which I am privileged to support them through an executive and business coaching process, to bring their business aspirations alive. My professional story began twenty years ago in the UK, where I started my career. I worked in international development for the first decade, travelling all over Africa and supporting governments and predominantly public sector institutions on a whole range of international development consulting topics across sections such as economics and finance, development policy, private sector development, trade and investment. A decade later, working from Africa, my focus shifted more towards supporting private sector institutions and corporations on issues of business strategy and business operations. And therein, somewhere along that path, came the birth of Alldens Lane. Alldens Lane was birthed through the demands and relentless requests of female friends who owned their own businesses, and who, knowing that I work with big business, continuously asked for business advice. This I willingly and freely provided over the years, but then five or six years into providing them with support, a couple of them pulled together to encourage me to think about working with women entrepreneurs and CEOs full time, noting that they and their business had benefited greatly from my support and assistance over the years. The more thought I gave to the idea, the more sense it made. and processes, service offerings, service offering names, service offering methodologies, thought leadership events etc. It was quite honestly one of the easiest things I had done, whilst yet been one of the most important things I had done. Everything you see on my website now (the content and structure) and everything I have on the Alldens Lane brochure, was conceived and birthed over one effortless weekend. Key challenges along the journey? Well, firstly, having to demonstrate that there is value, real, added value, to what I do. The very notion of business coaching is very new particularly in West Africa, but not so new in East and West Africa. As such, from the outset I had to devise an operational strategy that would comprise a lot of advocacy and demonstrating value. My quarterly Thought Leadership events were free, and in the beginning I heavily discounted fee rates. But that was a strategy, for I knew that I could demonstrate value to each client that I worked with. 6 months later, they provided testimonials of the benefit of my executive and business coaching to them and their business. We recorded the video interviews of the testimonials, and we showed this at the next Thought Leadership event – that really set the ball rolling. So I guess the key issue and challenge was working hard to demonstrate added value to clients. I continue to make that my focus and continuous objective. The next challenge to be conquered is scaling the business. Primarily I think women just want to live the lives they have dreamed. The women I work with have tremendous ability, capability, ideas and so on – and quite simply they just want to get on living their business dreams. The challenge is that sometimes culture and societies may want to stop them from living that dream, or they themselves are crippled with fear as to whether or not they’ll succeed with what they want to do. So to my mind their challenge as women is twofold – societal or cultural constraints, and constraints around self-belief or fear. Both of these, thankfully, can be overcome. I think what we are ignoring is that fact that although there are traditionally clearly defined roles in society for men, and clearly defined roles for women in society, these roles are now less clearly defined. This can bring a lot of societal and domestic friction – imagine the battle Emmeline Pankhurst (the British political activist and leader of the British suffragette movement who helped women win the right to vote) had to fight. It is this societal friction, and how to ease the friction successfully, collaboratively and inclusively with other women, men and society at large, is what we need to focus on. This is the battle that we all have to see the benefit of, and win, in so many areas – whether that is in women’s reproductive health, access to education for women and girls, access to financing and banking loans for women etc. I believe that our lives are not without purpose. I am passionate about purpose – very purpose driven personally and professionally. Before I enter into any venture I will always ask what the purpose, the bigger picture, of this friendship, this relationship, this new business idea, is. As such, my dream and my desire for the women that I work with, is to support them to attain economic empowerment through entrepreneurs, equipping them with business management and leadership skills to operate their businesses professionally and successfully – thereby transforming their businesses, and their lives.